FV-Plast comes with a unique simplification that lightens the bag of each plumber. You do not have to carry two fittings with you any longer. 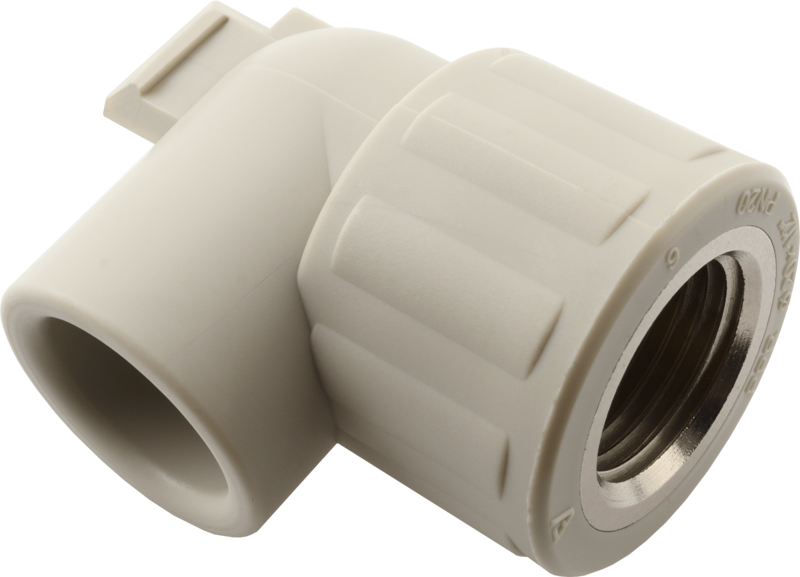 Our UNI metal threaded elbow replaces a metal threaded reducing coupling, and wall-mounted inner thread elbow. It can be used as a reducing coupling for thread connection, or simply attached to MONO pad to get a wall-mounted elbow. MONO pad, as well as DUO pad with adjustable spacing of 100 and 150 mm, is made of tough, fiberglass filled plastic. They are designed to make the installation of fixtures easier for you. PPR UNI metal inner threaded elbow, and MONO and DUO pads will be offered to you by your retailers. PPR UNI metal threaded elbow facilitates your work and lightens your bag. View its dimension options and other details.